The UNFCCC Secretariat's 2 May 2016 INDC Update on national emission targets shows that global greenhouse gas emissions will be even higher in 2030 than they are today- (by at least 16%) (Aggregate effect of the intended nationally determined contributions: an update Synthesis report by the secretariat). Carter, Peter D. (September 2016). 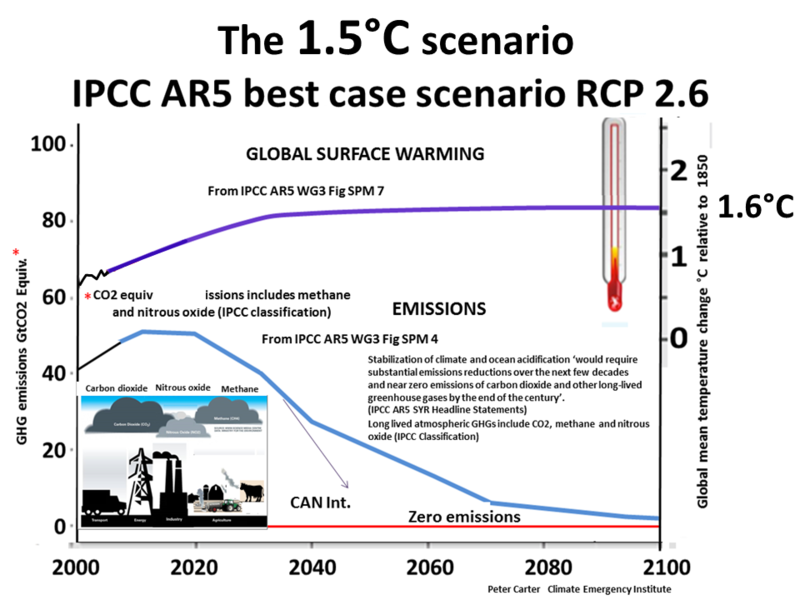 An illustrated guide to the 1.5ºC policy target option, at the 1.5 Degrees: Meeting the Challenges of the Paris Agreement Conference, Oxford, UK. 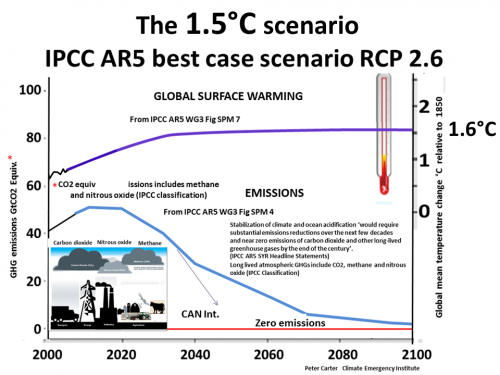 ​RCP2.6.​​​​- in response to the INDC situation of increasing emissions to 2030. Here is a very good report on some of the main expert reports given at of the Oxford 1.5C conference.